LC-MS/MS is widely utilized today for quantification of vitamin D in biological fluids. Mass spectrometric assays for vitamin D require very careful method optimization for precise and interference-free, accurate analyses however. Here, we explore chemical derivatization and matrix-assisted laser desorption/ionization (MALDI) as a rapid alternative for quantitative measurement of 25-hydroxyvitamin D3 in human serum, and compare it to results from LC-MS/MS. The method implemented an automated imaging step of each MALDI spot, to locate areas of high intensity, avoid sweet spot phenomena, and thus improve precision. There was no statistically significant difference in vitamin D quantification between the MALDI-MS/MS and LC-MS/MS: mean ± standard deviation for MALDI-MS—29.4 ± 10.3 ng/mL—versus LC-MS/MS—30.3 ± 11.2 ng/mL (P = 0.128)—for the sum of the 25-hydroxyvitamin D epimers. The MALDI-based assay avoided time-consuming chromatographic separation steps and was thus much faster than the LC-MS/MS assay. It also consumed less sample, required no organic solvents, and was readily automated. In this proof-of-concept study, MALDI-MS readily demonstrated its potential for mass spectrometric quantification of vitamin D compounds in biological fluids. Vitamin D compounds are fat-soluble secosteroids, the most important members of which are vitamin D3 in mammals and vitamin D2 in plants (particularly mushrooms). In humans, vitamin D3 is synthesized in the skin via UV irradiation. It plays an important role in bone metabolism , but deficiency of vitamin D has also been linked to many other diseases, such as diabetes, cancer, depression, neurodegenerative, and cardiovascular diseases. As a result, vitamin D-related research has been strongly increasing for many years [2, 3, 4, 5, 6, 7]. For the analytical measurement of vitamin D, the 25-hydroxyvitamin D3 (25(OH)D3) metabolite is routinely used, to determine the vitamin D status of individuals. This metabolite has a long half-life, relatively high concentrations in blood , and exhibits a direct link to the vitamin D substrate . Vitamin D status measurements are still primarily carried out by immunoassay techniques , but more recently, liquid chromatography-tandem mass spectrometry (LC-MS/MS) techniques are implemented in clinical laboratories, because of their superior sensitivity and specificity [11, 12]. Nevertheless, LC-MS/MS for vitamin D compounds exhibits a few areas of concern, for example, the detection sensitivity, which is adequate for measuring the status marker 25(OH)D3 at the lower nanograms per milliliter level, but usually insufficient for capturing some of the lower abundant vitamin D metabolites. Unfortunately, vitamin D compounds are not efficiently ionized by electrospray ionization (ESI) and atmospheric pressure chemical ionization (APCI), due to the lack of suitable chemical groups for effective protonation or deprotonation . 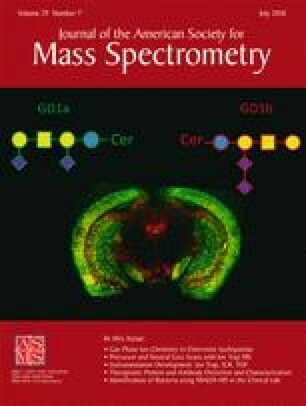 A more serious concern is the lack of unique product ions generated by dissociation of 25(OH)D3 during MS/MS and the presence of abundant endogenous and exogenous isobaric/isomeric interferences from the biological sample matrix and external contamination . It has been shown that some interferences are present despite LC separation and therefore co-elute with 25(OH)D3. These interferences can often not be resolved by low-resolution mass spectrometers such as triple quadrupole instruments, even in the MS/MS domain . Finally, the presence of chemical epimers, in particular 3α-epi-25-hydroxyvitamin D3, introduces an additional source of analytical variation; it is usually chromatographically separated from the main 3β-25-hydroxyvitamin D3 epimer (Figure 1) to avoid positive bias in vitamin D measurements . For the above reasons, reliable quantification of vitamin D in biological samples at physiological levels requires careful method development and validation . Furthermore, in comparison to immunoassays, LC-MS/MS assays are very slow and would benefit from an accelerated separation and detection step. In this study, we investigated whether matrix-assisted laser desorption/ionization (MALDI) has the potential for implementation in quantitative vitamin D assays. MALDI-MS has been demonstrated to provide quantitative abilities comparable to ESI-based LC-MS/MS for pharmaceutical drugs in biological fluids, with comparable analytical figures of merit, but analysis times of up to ×100 faster than LC-MS/MS [16, 17]. We have recently introduced MALDI for distinguishing the two important dihydroxylated vitamin D3 isomers (1,25-dihydroxyvitamin D3 and 24,25-dihydroxyvitamin D3) without chromatographic separation , using collision-induced dissociation (CID) of reactive analyte/matrix adducts, which provided more structure informative product ions than conventional ESI-CID. Unfortunately, the method was not sufficiently sensitive to reach the low physiological levels of the dihydroxylated vitamin D species, down to the picograms per milliliter range. In ESI-based assays, it is now common to implement chemical derivatization reagents such as 4-phenyl-1,2,4-triazoline-3,5-dione (PTAD) or Amplifex diene reagent [19, 20], which not only increase ionization efficiency but also decrease interference levels by shifting the m/z range of the derivatized species to higher values. In the present work, we utilized chemical derivatization for 25(OH)D3 (Figure 1) and MALDI-MS/MS on a high-resolution mass spectrometer for automated, high-throughput measurement of vitamin D in human serum samples. Standards of 25-hydroxyvitamin D3, acetonitrile (ACN), trifluoroacetic acid (TFA), sodium carbonate, sodium hydrogen carbonate, and cyano-4-hydroxycinnamic acid (CHCA) were purchased from Sigma-Aldrich (Steinheim, Germany). The analytical standard of 3β-25-hydroxyvitamin D3 was obtained from Endotherm (Saarbrücken, Germany), stable isotope-labeled d6-25(OH)D3 from Chemaphor (Ottawa, ON, Canada), and Amplifex reagent from Sciex (Concord, ON, Canada). Organic-free water was generated by a Millipore Direct-Q8 purification system (Bedford, MA, USA). The 96-well AC micro-extraction plates were purchased from Tecan (Männedorf, Switzerland). Vitamin D-free human serum was obtained from Golden West Biologicals (Temecula, CA, USA). Serum samples from patients with chronic liver diseases (CLD) were obtained from an existing study at Saarland University Medical Center . All patients provided written informed consent and the study was approved by the local research ethics committee (Ärztekammer des Saarlandes, ref. 57/11). The serum samples were extracted and derivatized via Amplifex reagent and levels of 25(OH)D3 (3α and 3β epimers) were determined by LC-ESI-MS/MS, as described previously . Briefly, serum samples were extracted by supported liquid extraction using a Tecan 96-well micro-extraction plate. A 1:2 (v/v) mixture (150 μL) of internal standard (d 6 -25(OH)D3, 50 ng/mL) in acetonitrile and extraction buffer (0.2 M sodium carbonate/sodium hydrogen carbonate 1:1 (v/v) in water/acetonitrile 95:5 v/v) was pipetted into each extraction well and 50 μL of serum was added. Vitamin D was released from the binding proteins by horizontal shaking (Eppendorf Thermomixer, Hamburg, Germany) for 10 min and the supernatant was subsequently discarded. Washing buffer (200 μL of water/methanol 90:10 v/v) was applied to the extraction phase by horizontal shaking (2 min), followed by 25(OH)D3 elution via elution buffer (200 μL of water/methanol 10:90 v/v) (5 min of horizontal shaking). Finally, the extracts were dried using an Eppendorf concentrator (model 5301) under vacuum conditions at 30 °C. Isotope-labeled d6-25(OH)D3 at 50 ng/mL was added to all standard solutions and samples. Vitamin D-free human serum was spiked with 25(OH)D3 standard at 1, 10, 25, 50, 70, and 100 ng/mL, to generate a six-point calibration curve. Two 25(OH)D3 quality control (QC) samples (10 and 50 ng/mL) were additionally used. Note that only careful incubation of spiked 25(OH)D3 as well as isotope standard ensures equal binding vitamin D-binding proteins in the same manner as the endogenous 25(OH)D3 . It has been pointed out, however, that spiked vitamin D metabolites may not behave in the same manner as the endogenous species [24, 25]. Therefore, it will be important in the future to extend the present proof-of-concept study and fully validate the assay using certified reference materials or proficiency testing materials. The MALDI matrix CHCA was dissolved in H2O/ACN/TFA (50:50:0.1, v/v/v) at 20 mg/mL. Each sample was mixed with CHCA solution at a ratio of 1:1 (v/v), of which 0.2 μL were deposited onto Bruker (Bremen, Germany) steel MALDI target plates and allowed to dry at ambient conditions. Mass spectra were recorded using a Bruker Solarix 7 Tesla Fourier transform ion cyclotron resonance (FTICR) instrument , equipped with a frequency-tripled Nd:YAG laser. For rastering the sample, a laser width of ~ 200 μm was used. The laser power was initially optimized to obtain spectra with high signal-to-noise ratios (S/N) for the analytes; 200 laser shots were accumulated. In MS/MS, precursor ions, including the isotopic species from analyte and d6 internal standard, were simultaneously isolated using a wide isolation window (8 u) in the quadrupole front-end; 15 eV collision energy was applied for CID. Only a single FTICR transient (~ 0.7 s) was collected for each single mass spectrum. The spectra were processed using Bruker software: FlexImaging 4.1 and DataAnalysis 4.2. A paired t test was used to compare the (3α+3β)-25(OH)D3 concentrations from LC-MS/MS and MALDI-MS using SPSS version 20.0 (IBM, Munich, Germany), after confirming normal distribution of all data applying the Shapiro-Wilk test. A P value of < 0.05 was considered the threshold for statistical significance. In this study, we implemented chemical derivatization of vitamin D compounds for significant response enhancement in MALDI, as previously reported for ESI [20, 22]. CID of the derivatized compounds eliminated the quaternary ammonium group of the derivatized 25(OH)D3 compound ([M]+→[M–N(CH3)3]+, Figure 1) and the transitions m/z 732.5058→673.4323 and m/z 738.5435→679.4700 were implemented for quantitative measurement of 25(OH)D3 and its d6-25(OH)D3 internal calibrant, respectively. For both MALDI-MS/MS and LC-MS/MS, identical product ions were used. We utilized high-resolution mass spectrometry, as it was shown that a large number of isobaric endogenous and exogenous compounds were present during LC-MS/MS analysis of 25(OH)D3 . The co-activation of a wider m/z range, as chosen here, might therefore generate interfering isobaric noise in the subsequent CID spectra. If low-resolution mass spectrometers are used, there is the strong potential for increased peak areas for 25(OH)D3 in the MS/MS domain . In our direct MALDI-MS/MS assay, these detrimental interferences would likely be significantly amplified, as no LC separation was performed. High-resolution FTICR-MS was therefore utilized to circumvent interferences and improve measurement accuracy. Note that some constitutional isomers of 25(OH)D3 may nevertheless have the potential to introduce interferences. Liu et al. have described the Diels-Alder derivatization of 7-dehydrocholesterol and the ene reaction of desmosterol using PTAD. Desmosterol and 7-dehydrocholesterol differ in molecular weight from 25(OH)D3 but possible hydroxylated versions of these compounds would be constitutional isomers of 25(OH)D3 and so would be 7-ketocholesterol . To separate these species in our assay, a more specific product ion would have to be chosen instead of the generic [M–N(CH3)3]+ ion or ion mobility experiments implemented to separate potential constitutional isomers prior to MS analysis. For example, Chouinard et al. have recently demonstrated the potential of ion mobility-MS for the separation of gas-phase conformations of sodiated epimers of 25(OH)D3 . In the first set of experiments, MALDI-MS/MS was applied to standard samples (with known concentrations of 25(OH)D3 and d6-25(OH)D3), to determine whether absolute ion currents and peak areas were sufficiently stable for quantification. As previously observed, shot-to-shot variations and “sweet spot” crystallization made quantification challenging without proper acquisition and normalization routines . In our analyses, ion signals from a “sweet spot” were often orders of magnitude higher than those from other areas (Figure 2), which made quantification of analytes at physiological levels for 25(OH)D3 (1–50 ng/mL) difficult . While internal calibration using the isotope 25(OH)D3 standard should theoretically compensate for these variations, the very low ion currents and poor ion statistics in non-sweet spot areas did not allow for proper, reproducible data acquisition. This effect was likely further amplified by ion suppression effects, as MALDI-MS/MS analysis was performed directly without prior chromatographic separation. The sample treatment used here via supported liquid extraction plates  will remove many, but not all interferences; and the derivatization reaction and the saturated CHCA matrix may also introduce exogenous compounds. In addition, the manual sample spotting routine implemented in our experiments did not provide optimum, reproducible homogeneous sample distributions across the MALDI plate. To overcome the sweet-spot limitations, we implemented an automated search for the sweet spots on the MALDI target, instead of simply using a linear rastering data acquisition as previously used . We utilized the MALDI “imaging mode” of the instrument to map the entire sample spot, the size of which was approximately 1.8×1.8 mm per sample, using a laser beam diameter of 200 μm. As a result, > 80 pixels were obtained for each sample spot. The total acquisition time for each single pixel was < 1 s, consisting of the acquisition time for 200 laser shots plus FTICR transient time. The sample dataset was then automatically processed using the instrument’s imaging mass spectrometry software (see “Experimental”), by using appropriate mass filtering windows and intensity thresholds. This automated processing allowed us to visualize the areas of analytical utility and to automatically select the pixels with sufficient signal-to-noise ratio (S/N) for quantitative analyses (Figure 2). Pixels exhibiting S/N of at least 20 provided adequate absolute measurement precision of < 20% relative standard deviation (RSD, n = 5) for quantitative purposes. A typical sample spot yielded at least 10 pixels with S/N > 20. In fact, those samples containing 25(OH)D3 near the limit of quantification (LOQ) (1 ng/mL, see next section) typically provided at least 5 useful pixels, whereas samples of patients with sufficient vitamin D levels (> 20 ng/mL) usually exhibited over 30 pixels with S/N > 20. Note that these precisions refer to the absolute ion currents from the raw data. All quantitative data shown in the following section were additionally corrected using the co-deposited stable isotope internal standard, to account for experimental variations and ion suppression, which further improved overall method precision. As outlined in the Experimental section, calibration curves in vitamin D-free serum were generated over a concentration range of 1–100 ng/mL using isotope-labeled d6-25(OH)D3 as internal standard. The calibration curves were obtained by plotting the integrated peak area ratios of 25(OH)D3 (m/z 673.4323) and internal standard (m/z 679.4700) against the 25(OH)D3 concentration. The linear range and correlation coefficients for the regression analysis were based on six concentrations and exhibited sufficient linearity over the entire calibration range (r2 > 0.98). We used a practical definition for the LOQ and defined it as the lowest concentration, which could be measured with a pre-defined acceptable precision value. Here, we chose RSD of 20% as cutoff precision criterion for LOQ, which coincided with the pixel selection requirement of S/N > 20, as discussed above. In concentration terms, this corresponded to 1 ng/mL level, which was the lowest quantifiable serum level for 25(OH)D3 at 20% RSD or lower. This LOQ constituted a sufficiently low measurement limit, which also enables severely vitamin D-deficient individuals to be measured. The intra-day precision of the method was assessed by measuring QC samples at 10 and 50 ng/mL (n = 5); deviations of 8 and 11% RSD were obtained, respectively. The reference LC-MS/MS assay provided higher precision ranging between 1.9 and 3.9% in our previous work . The direct MALDI-MS/MS measurement took less than 1 min per sample, measuring analyte and internal standard simultaneously, acquiring over 80 measurements in that time frame, while the LC-MS/MS reference assay was much slower, requiring approximately 15 min per sample (including LC separation and overhead contributions such as column wash and equilibration etc.) [14, 22]. Generally, the LC separation is the bottleneck in most published LC-MS/MS assays, while sample preparation is readily automated for both LC-MS/MS and MALDI-MS/MS. In addition to the cost savings from the significantly shortened analysis times, extra savings are incurred because MALDI-MS/MS does not require mobile phase solvents and modifiers as needed for LC-MS/MS. Moreover, the MALDI-MS/MS assay consumed only 0.2 μL of sample solution for a single MALDI sample spot, whereas 5 μL of sample was required for a single analysis of our LC-MS/MS reference method . Next, the direct MALDI-MS/MS assay was applied to a set of serum samples of patients with chronic liver diseases, which were previously analyzed by LC-MS/MS in our laboratory . Table 1 summarizes the results measured by both assays. Generally, the numbers were very similar, with slightly lower values for the sum of the two 3β and 3α-25(OH)D3 epimers from MALDI-MS/MS (NB: 3β is the “normal” form of 25(OH)D3 and is considered the precursor of the biologically active species. A separate metabolic pathway exists that reverses the stereochemistry at C-3 of 25(OH)D3, leading to the 3α epimer. A discussion on the importance of separating the two epimeric forms of vitamin D follows in the next paragraph). Moreover, as the data were normally distributed, a paired sample t test was carried out on the patient samples to determine whether the 3β+3α-25(OH)D3 concentrations differed statistically based on the method used. The mean ± standard deviation (SD) for the MALDI-MS/MS method (29.4 ± 10.3 ng/mL) was very similar to that of the LC-MS/MS (30.3 ± 11.2 ng/mL) and did not differ significantly (P = 0.128). Additionally, the MALDI measurement exhibited higher RSD values as compared to the well-developed LC-MS/MS method, probably related to inhomogeneous sample distributions across the MALDI spots, but also general precision issues of MALDI if insufficient numbers of laser shots are averaged. We have previously shown that extensive signal averaging strongly improved precision in MALDI-MS ; this would come at the price of longer analysis times in the present assay. In this context, it is important to point out that MALDI-MS/MS cannot distinguish between the 3α and 3β epimers of 25(OH)D3, as the two epimers produced virtually identical product ions upon CID [22, 31]. From a physiological point of view, this is important because the two epimers do not possess the same calcemic activities; some researchers have even described the 3α epimer as being inactive [32, 33]. Therefore, LC procedures are usually implemented to separate the two species for vitamin D status measurements . The MALDI-MS/MS assay on the other hand always measures the sum of both epimers. As seen from Table 1, the 3α species was present at levels between 1 and 6% of total 25(OH)D3 in our samples and the MALDI-MS/MS assay therefore included this component in the measurement, introducing a small systematic error, while the LC-MS/MS assay was readily able to measure the two species individually. As reported levels of the 3α epimer are mostly < 10% of total 25(OH)D3 for adults [35, 36], their contribution has sometimes been described as negligible and it was suggested that a MS method that separates the two epimers was only required for samples of patients younger than 1 year . The 3α levels in newborns and infants can be as high as 50% of total 25(OH)D3 in the first few weeks of life , which then usually falls to < 10% over the course of the first year. Lensmeyer et al. have shown rare high values of 3α epimer in adults . While for sera of similar 3β-25(OH)D3 concentrations, for example, 20–22 ng/mL, the 3α/3β ratio varied from 2 to 8.5%, similar with our values, the 3α contribution was occasionally higher, up to 25.5% of total 25(OH)D for an older subject, who simultaneously exhibited very high 3β-25(OH)D3 levels . This co-measurement of both species may not be limited to the present MALDI-MS/MS assay. While most immunoassay manufacturers now state that their assays do not respond to 3α-25(OH)D3 and, for example, van den Ouweland demonstrated that none of the current automated immunoassays showed 3α-25(OH)D3 cross-reactivity , some studies have not fully ruled out for all immunoassay analyzer platforms that the 3α epimer contributes to measured concentrations of 3β-25(OH)D3 [39, 41, 42]. Our present MALDI-MS/MS assay is therefore currently not suitable for samples of very young persons (< 1 year of age). Future modification will attempt to incorporate an ion mobility separation step after MALDI to account for these errors, as Chouinard et al. have recently shown promising data for ion mobility separation of sodiated 25(OH)D3 epimers . This study explored the potential of MALDI-MS/MS for quantification of 25(OH)D3 in human serum. To our knowledge, MALDI-MS has not been used for the quantitative determination of vitamin D before. Compared to conventional LC-MS/MS, the high-frequency MALDI measurement generated more data in a much smaller time frame, required no organic solvents, and used less sample. Obviously, more studies are required, including extensive method validation, to fully assess direct MALDI-MS/MS for vitamin D quantification, including the evaluation of different mass spectrometry platforms. We implemented MALDI-FTICR and obtained an LOQ of 1 ng/mL, which was mostly limited by unreliable ion counting statistics from the MALDI spots at lower concentrations. More sensitive MALDI-MS/MS systems, such as MALDI-triple quadruple-MS in high duty cycle single reaction monitoring mode, have been able to determine pharmaceutical drugs in the low picomolar range , which would allow the extension to other, lower abundant vitamin D metabolites in serum. Also, commercial multichannel liquid dispensers would likely achieve a more homogeneous sample distribution throughout the MALDI spots. Finally, ambient ionization techniques such as desorption electrospray ionization (DESI) or direct analysis in real time (DART) instead of MALDI might also be suited for the described quantitative analysis. DAV acknowledges research support by the Alfried Krupp von Bohlen und Halbach-Stiftung and the German Science Foundation (DFG VO 1355/5-1). CSS is grateful to HOMFOR (T201000779) for financial support. This work uses data provided by patients and collected by clinical staff of Saarland University Medical Center as part of their care and support. All patients provided written informed consent and the study was approved by the local research ethics committee (Ärztekammer des Saarlandes, ref. 57/11).